The last time I blogged here at the Muffin, I wrote about writing retreats and why these events are worthwhile. The point that seemed to hit home for people was the idea that we are only Seven Degrees of Separation away from our next success. This retreat definitely brought home the value of these connections. At the retreat, we get face time with an editor who critiques our work and discusses it with us as well as teaching several workshops. This time, we learned about selling points and hooks. 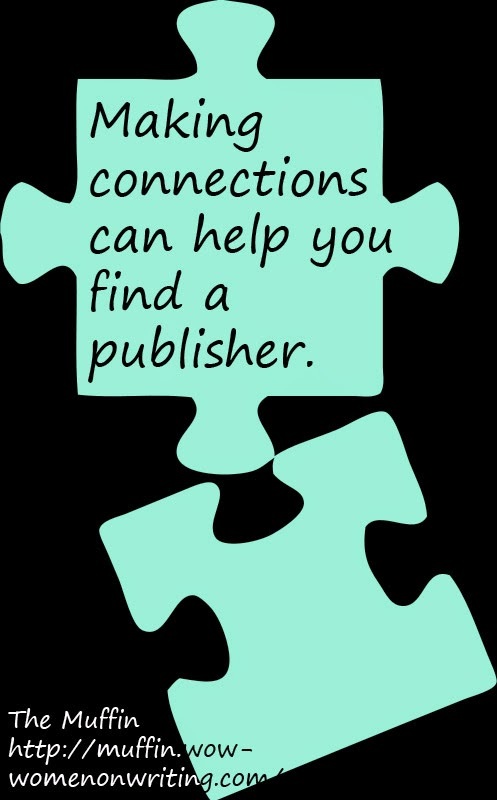 Whether you independently publish or traditionally publish, these two skills are vital. But sometimes we need a bit more than that to get our foot in the door. We need a tip. For me, this is where this event always shines. Last year, two of us applied to write-for-hire because of a tip that we got from a fellow author. She writes for this particular packager and no both of us do too. I just landed my first assignment, due by the end of the month. The other writer is on book #3. Perhaps this tip was a fluke, but I’m prepared to argue that it wasn’t. Why? Because I’m also waiting on a contract for an app; I got the name of the publisher at this same event. I’m not saying that you should schmooze with your fellow writers just so that you can make sales. I’ve made a lot of friends at these events and we always come away laughing and encouraged and ready to write. But the tips are there too. Tips from our fellow writers can help us avoid publishers that don’t pay or who do a shoddy job with editing and design. They can also let us know when a publisher is looking for a certain type of book long before what they’ve just purchased makes its way into the public eye. When you attend an event, whether it’s a conference , workshop or retreat, don’t snub the writers just to hob nob with the agents and editors. Take the time to get to know your fellow writers. Me? I have two agents to contact and a publisher who is looking for alphabet books. Until I sat down to breakfast on Saturday, I didn’t know that any of these people were looking.